TOCWOC’s Take: This new book from McFarland looks pretty interesting. As far as I know, Perrin does not have any other biographies. Please send along a comment if you know of one. Perrin was killed at Spotsylvania, so this one won’t quite be useful for my Siege of Petersburg work. With that said, Perrin was involved in almost all of the ANV’s major battles up to the time of his death. Any fans of the Army of Northern Virginia will want to pick this up, especially since (for once) a McFarland book seems reasonably priced. Be aware that McFarland’s quality can vary greatly, so do your homework before purchasing. 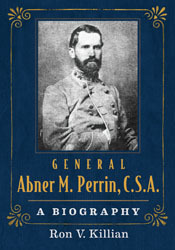 A brief glance through the book indicates Perrin’s pre-war life is covered in one chapter, with the majority of the chapters focusing on various campaigns in chronological order. More than 1,000 men held the rank of brigadier general during the Civil War, but a surprising number remain unknown to all but the most ardent scholar. These lesser-known brigadiers, like General Abner M. Perrin (1830-1864), played much more than a casual role in the momentous conflict. Perrin, of the South Carolina 14th Regiment, took part in all of the major battles of the Army of Northern Virginia. At Gettysburg, he assumed command of a brigade whose general was wounded and defeated all opponents to lead the first troops to enter the town. He received a promotion to brigadier general for his actions and commanded his own brigade at Mine Run, the Wilderness, and Spotsylvania, where he was mortally wounded. This welcome biography chronicles Perrin’s life and military career, removing this deserving Civil War personality from the shadows of history. TOCWOC’s Take: This book publishes a manuscript history of the 4th Alabama written by a member of the regiment. This book is a part of the University of Tennessee Press’s excellent Voices of the Civil War series. Coles was the regiment’s adjutant, putting him in a unique and well-qualified position to write this famous regiment’s history. Although the Petersburg content isn’t as meaty as I would have liked, this looks like an excellent regimental from someone who was there. The 4th Alabama Volunteer Infantry was among the most famous and hardest fighting regiments in the Civil War—and one of the few military units to see action in both the western and eastern theaters of the conflict. As part of Lee’s Army of Northern Virginia, it fought in every major engagement in the East—Manassas, Antietam, Fredericksburg, Gettysburg—before joining General James Longstreet’s First Corps in the West for such battles as Chickamauga and Knoxville. Returning to Lee’s fold for the bloody campaign of 1864, the regiment saw the war through to its conclusion at Appomattox. This book represents the first publication, in its entirety, of Robert T. Coles’s stirring history of the 4th Alabama. As the regiment’s adjutant, Coles had intimate access to its day-to-day functions and decision-making processes, including its relationships with other Confederate units. His account not only details battles and strategies but captures the human drama of soldiers engaged in front-line combat. The swiftly paced narrative is marked by engaging turns of phrase—Antietam, Coles says, was “a perfect homespun Waterloo”—and by an eye for the poignant detail: Coles describes how, upon learning of Lee’s surrender, the men of the 4th Alabama tore apart their bullet-torn battle flag (“our precious old rag”) and distributed the pieces among themselves. In editing Coles’s history, Jeffrey D. Stocker offers extensive notes that provide background details and alternative perspectives on the events and individuals Coles describes. In addition, Stocker has included unedited accounts of three key battles—First Manassas, Gettysburg, and the Wilderness—by other members of the 4th Alabama. These elements combine with Coles’s narrative to create an informative and richly textured volume. The Editor: Jeffrey D. Stocker is a practicing attorney in Jenkintown, Pennsylvania. He is currently writing a history of General John Bell Hood’s division at the Battle of Gettysburg. TOCWOC’s Take: I didn’t realize it at the time I purchased this book, but it’s a part of the H.E. Howard “Virginia Civil War Battles and Leaders Series.” Wiatt was the chaplain of the 26th Virginia in the Army of Northern Virginia, and he was almost unique in that he was one of the few chaplains to serve the entire war with one regiment. Wiatt’s great great grandson edited and annotated his war time diary. Wiatt was present throughout the Siege of Petersburg and this book looks to be a good one for my Petersburg project. 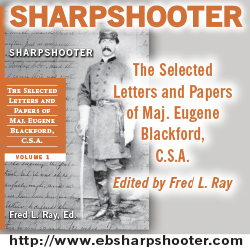 TOCWOC’s Take: Here is the third regimental history or memoir in this edition of Civil War book acquisitions. Like the two previous books, I bought this one for its coverage of the Siege of Petersburg. Holt, a member of Co. K., 16th Mississippi, fought at Petersburg from June to August 1864, when he was made a prisoner of war and eventually sent to Point Lookout, Maryland. Holt fought in Jackson’s Valley Campaign, but missed Second Manassas and Antietam due to illness. 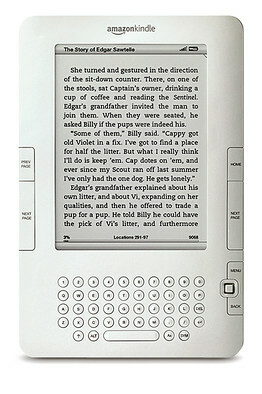 This is a pretty lengthy memoir at 360 pages of text, and it looks to be a model of its type. Those of you interested in the Army of Northern Virginia and its Mississippi contingent in particular will find this to be an interesting addition to your library. Born the eighth child in a wealthy Mississippi plantation family in 1843, David Eldred Holt joined Company K of the 16th Mississippi Regiment in 1861 and served in the Virginia theater throughout the Civil War. Late in his life, at a time when many former soldiers, both Union and Confederate, were reliving their memories of that event, Holt penned this memoir, recounting the idyllic life of an affluent southern boy before the war and the exhilarating, sometimes humorous, often terrifying experiences of a common soldier in camp and in battle. This new paperback edition has been expanded to include Holt’s never-before-published diary entries from the last year of the Civil War.